A good place to start your search of the city’s culture is Kampa Island, a peaceful island in the Vltava river in central Prague. Here you’ll find Museum Kampa – a temple to bohemian art and the central hub of the capital’s original and lively art scene. 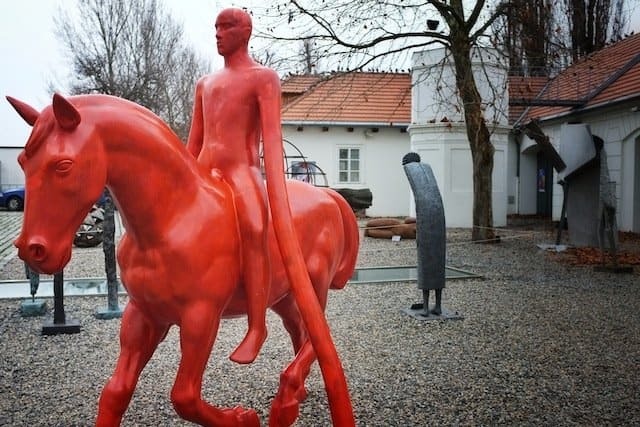 The exhibition space is filled with surreal and extraordinary exhibits largely by Czech artists. Make sure you don’t miss the slightly disturbing display of giant faceless babies, an art installation piece by Czech sculptor David Černý. Okay it’s not going to be easy to avoid the crowds in the capital’s Old Town but you can’t leave Prague without seeing it. Despite a number of foreign invaders, Prague’s Old Town Square has remained virtually untouched since the 10th century. In times of old it was the capital’s most colourful quarter – home to artists, poets, musicians and probably a few drunks. Eat alfresco while you admire a hodgepodge of architecture — including the Rococo Kinsky Palace, the Gothic Tyn Cathedral and the Baroque St. Nicholas Church. 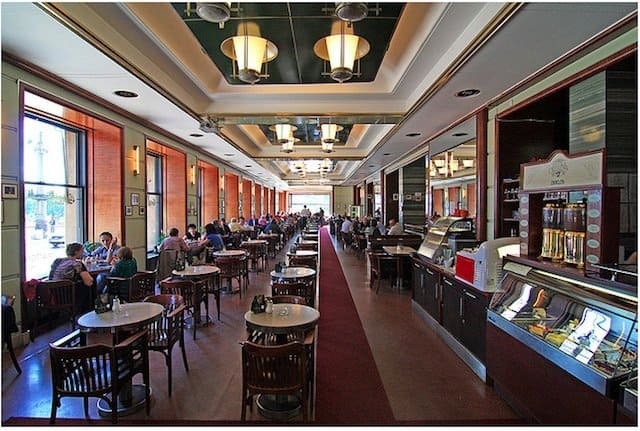 For a touch of nostalgia head for the historic Cafe Slavia located only a stone’s throw from the National Theatre. Since its opening in 1884 it has seen a number of dissidents, artists and writers through its doors. Even Vaclav Havel enjoyed a coffee here prior to his engagement as president of the Czech Republic, and apparently this is where Apollinaire used to sip absinthe. Now fully restored to its understated 1930s Art Deco look, the views of the river are worth the trip alone. The Castle District is Prague’s number one tourist spot, so don’t expect to escape the crowds here, but this place is popular for a reason. Roughly the size of seven football fields, Prague Castle is the largest ancient castle in the world and even the most even the most jaded of visitors will likely be impressed by its size and grandeur of its internal buildings. 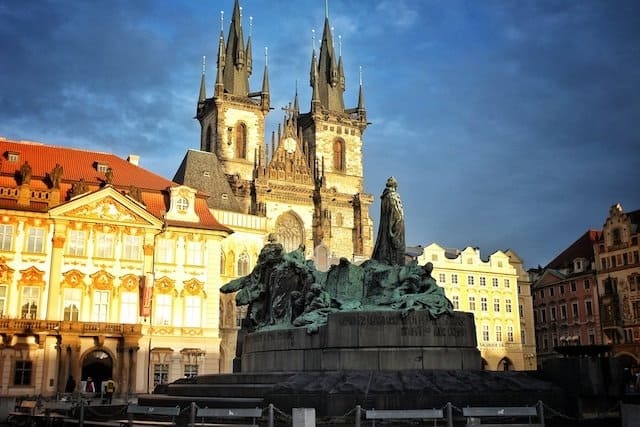 Don’t miss the St. Vitus Cathedral, the dramatic Gothic spires of the castle itself, and before you leave lean over the castle walls for spectacular city vistas. 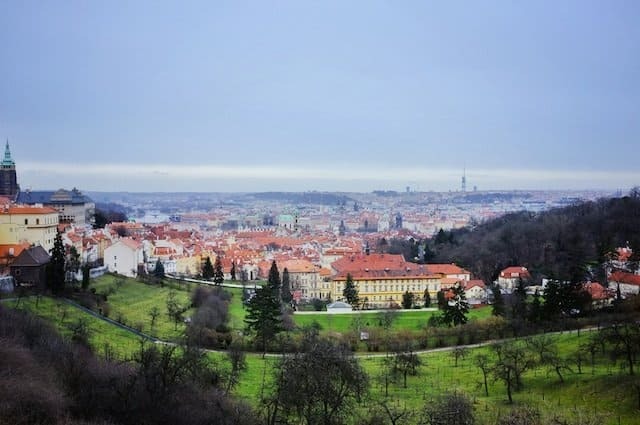 Head on further up the hill from the castle and you’ll reach Strahov Monastery. Founded in 1149 it has a fine church, a library containing one of the oldest monastic collections in the country, and handily for real ale lovers, its own brewery. 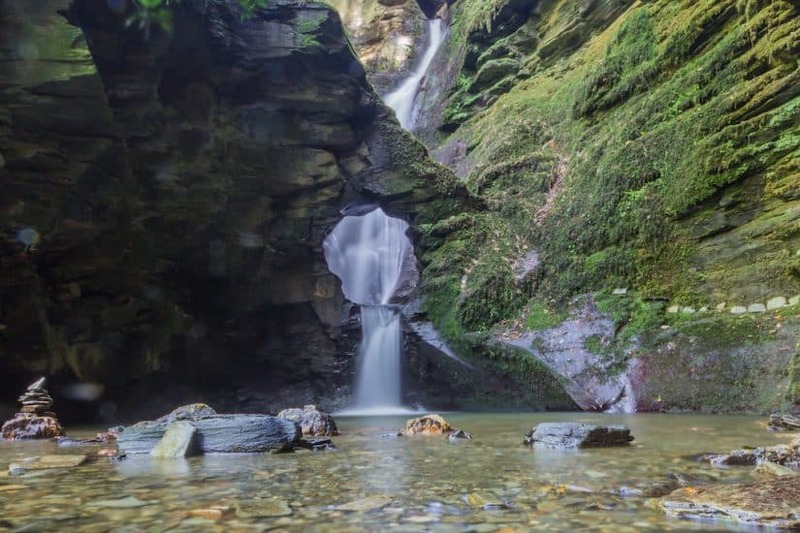 It’s a calming, meditative kind of place, with gorgeous views but it’s also a good place to eat. 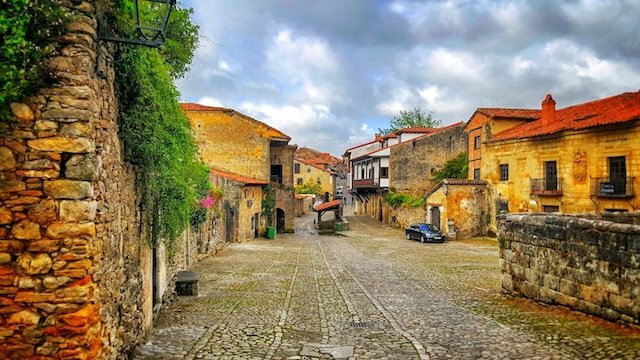 Stop at their courtyard restaurant for hearty traditional food where the medieval experience just seems a little more authentic than the ‘ye olde’ tourist taverns further down the hill. 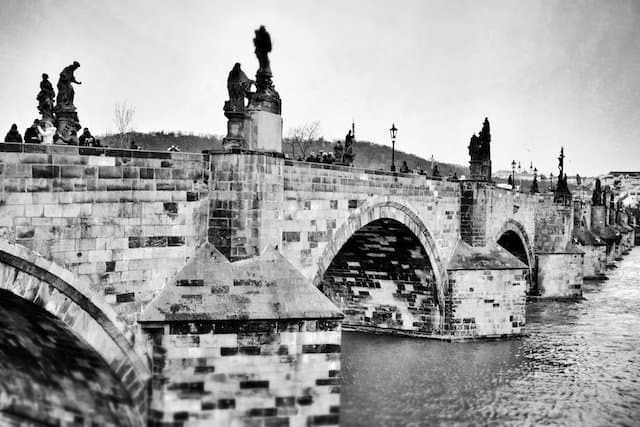 Easily one of the most iconic images is Charles bridge – a stone Gothic bridge that connects the Old Town and Lesser Town dating back as early as 1357. Yes it’s popular but it’s still undeniably romantic – views of the river and castle, couples walking hand-in-hand and artists and baroque-style statues line the walkway. Want to crank up the romantic factor up a gear? Go at night to see the castle beautifully illuminated or very early in the morning to avoid the crowds. This might be a controversial choice, especially as you have to go a little out of your way to reach it. Giant faceless babies crawling up the side of a huge communitst-era tower isn’t going to be to everyone’s taste. 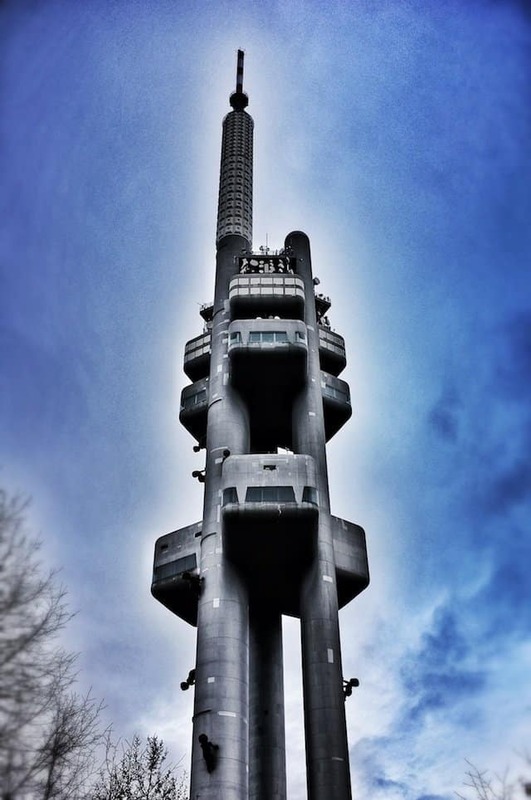 The tower was built between 1985 and 1992 but in 2000, David Černý‘s ubiquitous huge crawling babies were temporarily attached to the tower’s pillars. Apparently the Prague locals liked them so much that they stayed. Fans of unconventional architecture will love it, and in a city that seems to be all about the views, the city’s highest building offers unique 360 degree panoramic views, and even a smart restaurant and bar where you can hang out for a while. 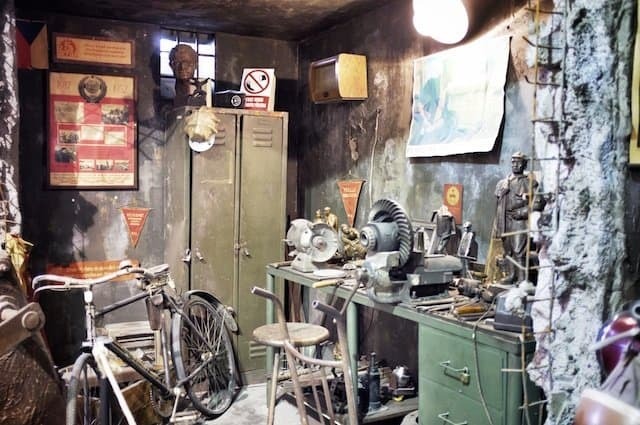 Blink and you’ll miss this tiny but important museum – it’s ironically located between a shopping mall, a casino and a McDonald’s. To really understand the city, you should definitely include this place on your itinerary. It’s filled with moving depictions of state-sponsored terrorism, told through photos, propaganda and videos – although the story ends on a high note, with galleries on the peaceful “velvet revolution” that ended the nightmare. I probably couldn’t mention a Prague list without the puppets – you’re likely to see these skilfully carved characters everywhere in the city. Prague has a long history of marionette shows and don’t worry they’re not just for children. 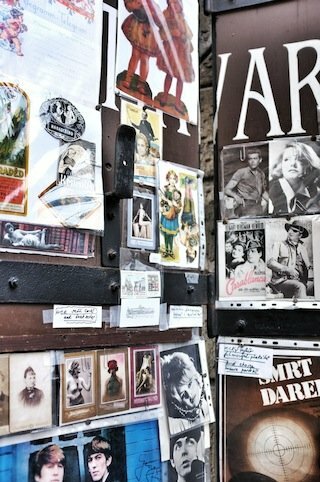 Although the puppet theatre is aimed at tourists, you can still find high-quality Czech puppeteers and productions. 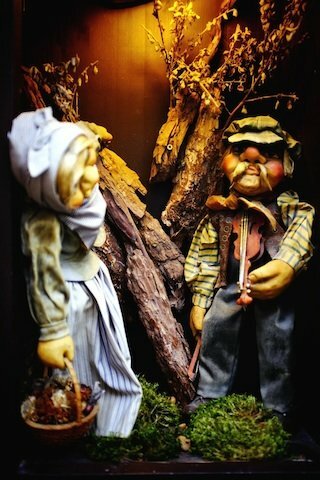 Try the lively and progressive Divadlo Minor, or buy a puppet to take home at Truhlář Marionety. 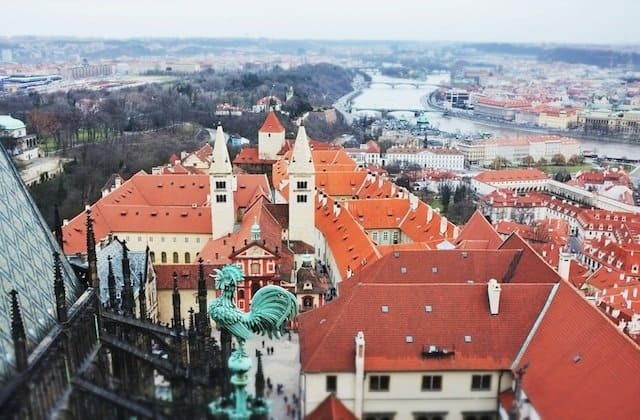 To uncover the real beauty of Prague head away from the main tourist areas (pictured above) and visit the back streets instead. Try the faded streets of Opatovicka and Pstrossova in Nove Mesto lined with antique shops selling art deco lamps, glass, and jewellery, and cool cafes like Dynamo which have a 1960s retro interior. Just a step further and you will find La Familia restaurant and jazz club, Grafika bookstore, Cafe Jericho and even a kitsch costume shop complete with gorilla masks and tons of flowy fabric creations. We travelled from Leeds Bradford airport with Jet2holidays.com. 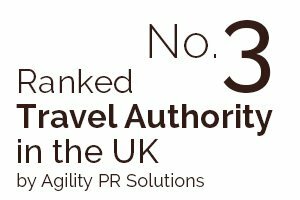 Jet2 is a fun no frills airline run by friendly and professional staff. 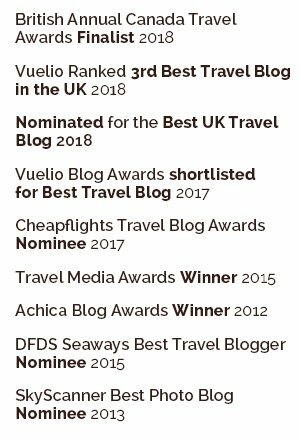 If you’re looking to book flights to Prague from the North of the UK or Midlands they offer flights for very reasonable prices. They also offer holidays for those looking for traditional package holiday fun in the sun. We stayed in the newly opened Hotel Barcelo Praha Five a clean, modern four star hotel with welcoming staff and good sized rooms. Although the hotel wasn’t based in the city centre it was near a Metro station which was only a couple of stops to the centre. For those looking for a more central base they offer Barcelo Old Town, a four star boutique hotel housed in an 17th century building. Other Barcelo hotels in Prague include Barcelo Praha a four star hotel situated in Prague’s business district. Whoever said that “the best things in life are free” may well have been referring to the Charles Bridge in Prague. A simple walk across the h Century bridge is one of the most enjoyable and memorable experiences of visiting Prague. The bridge was commissioned in 1357 by Charles IV to replace an older bridge that had been washed away by floods. Although completed in 1390, with the striking statues added in the h century, the bridge did not take Charles’ name until the h century. 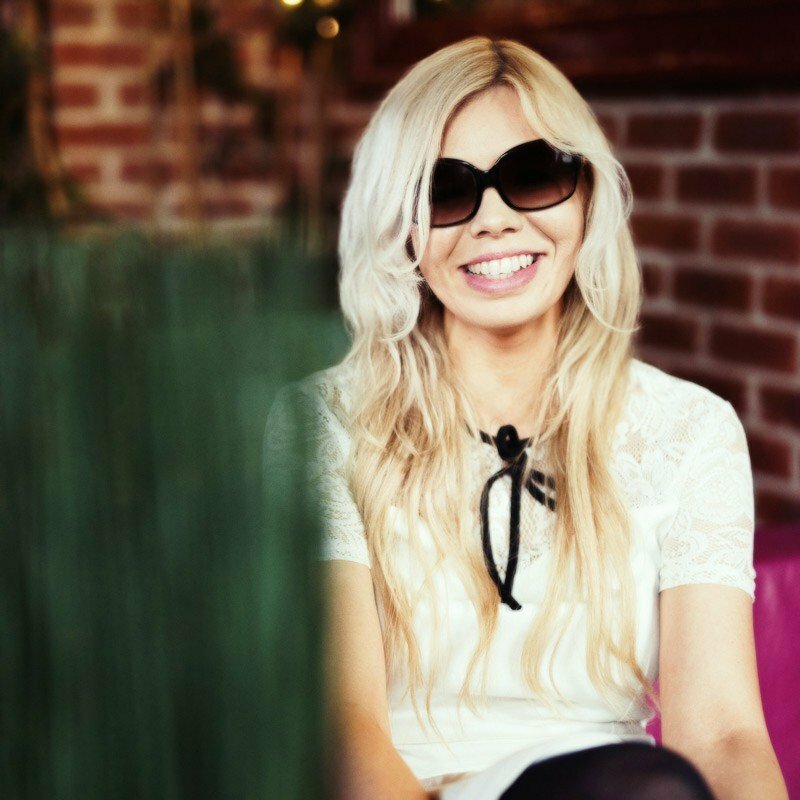 awesome post , thanks for sharing! Awesome set of images, i think you are great photographer. My most favorite spot in Prague is Prague castle. 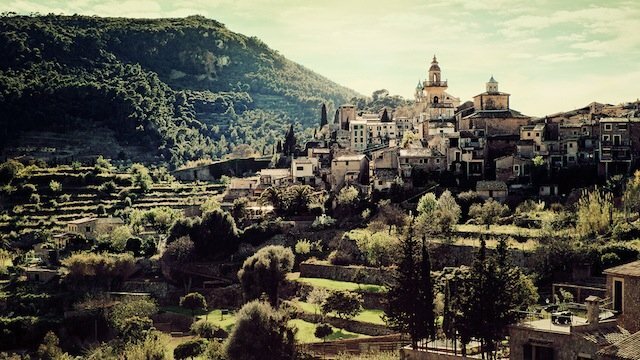 Great article with useful tips about a beautiful city, thanks for posting! That’s it! I need to go back to prague! Nice list, it’s a cool city but can be overcrowded in the summer. I didn’t get to visit the communist museum though I will when I go back next. Yes definitely add it to the list if you do go back. 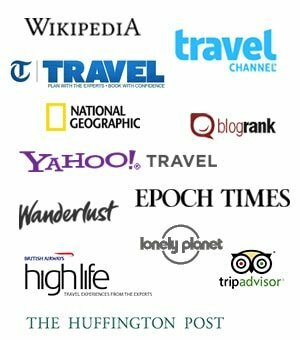 I spent 3 days in Prague doing some couchsurfing and manage to do all of those mentioned by you things. Prague is wonderful, especially in summer! Yes I bet, it would be great to go back in the summer as well to see what it’s like. 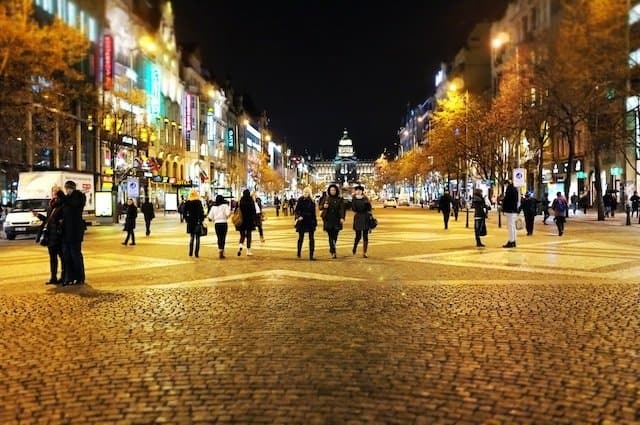 Great post, seems a lot more to see and do in Prague than I thought. I definitely want to go back armed with this list. 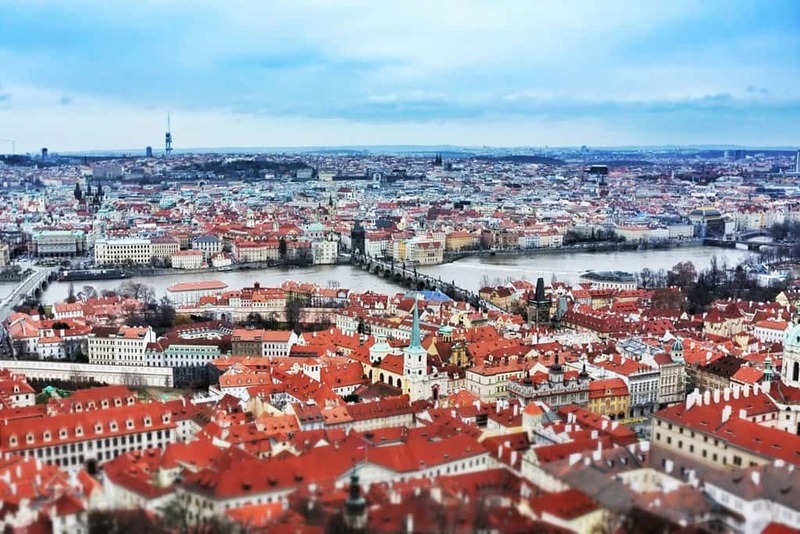 Fabulous post, and most timely for me as we plan to visit Prague in May, so you’ve given us some nice options to ponder here – and great photos, too! Thanks Greg, looking forward to seeing your post when you go.